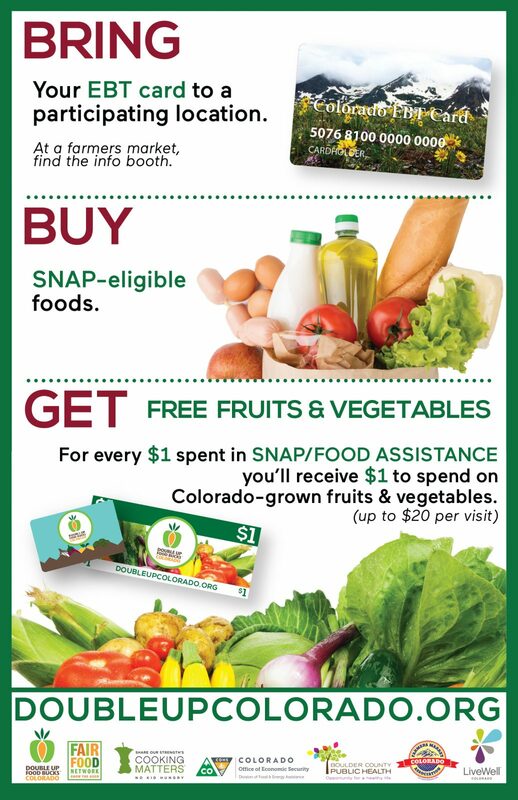 Still have questions about the LiveWell Colorado Double Up Food Bucks program and how it works? Watch our video tutorials here. 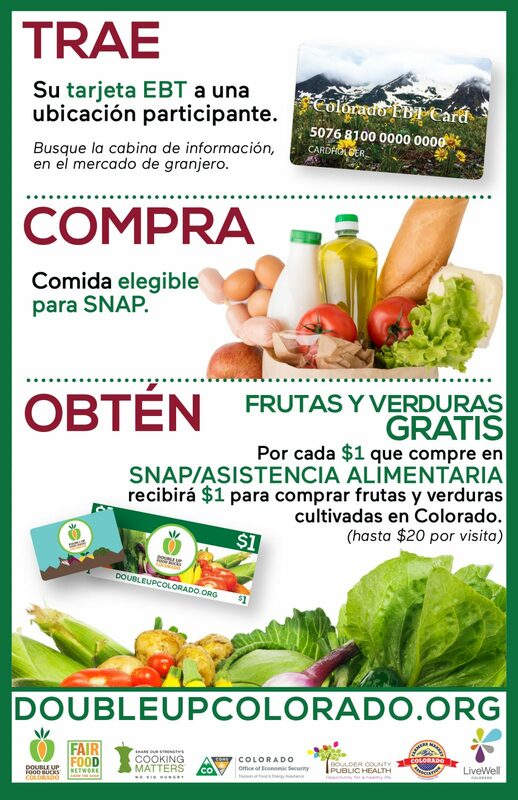 Are you a market vendor or community food advocate who needs help promoting the LiveWell Colorado Double Up Food Bucks program in your community? Download our partner powerpoint presentation here. 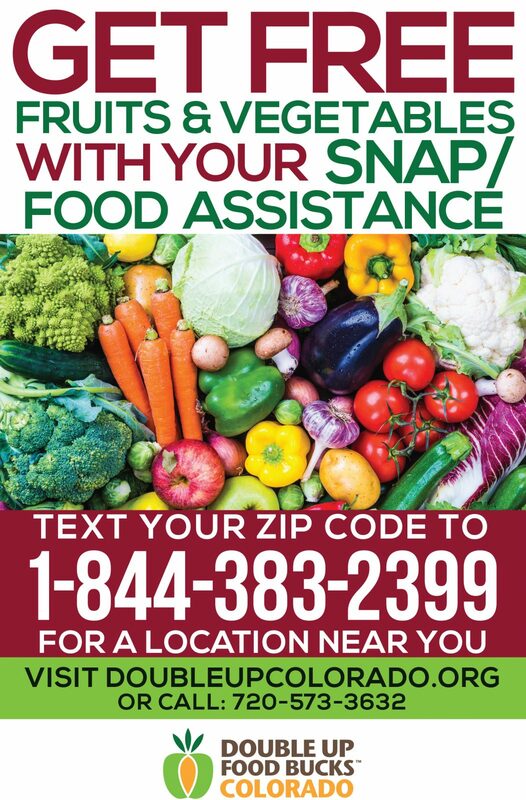 Want to talk with a LiveWell Colorado staff member on the phone about the Double Up Food Bucks program? Call us at +1 (720) 573-3632. Double Up’s success is grounded in a network of partners who help spread the word. We have a variety of downloadable outreach materials available in English and Spanish below. You can also email us for copies at no cost. Are you interested in becoming a participating Double Up Food Bucks location? 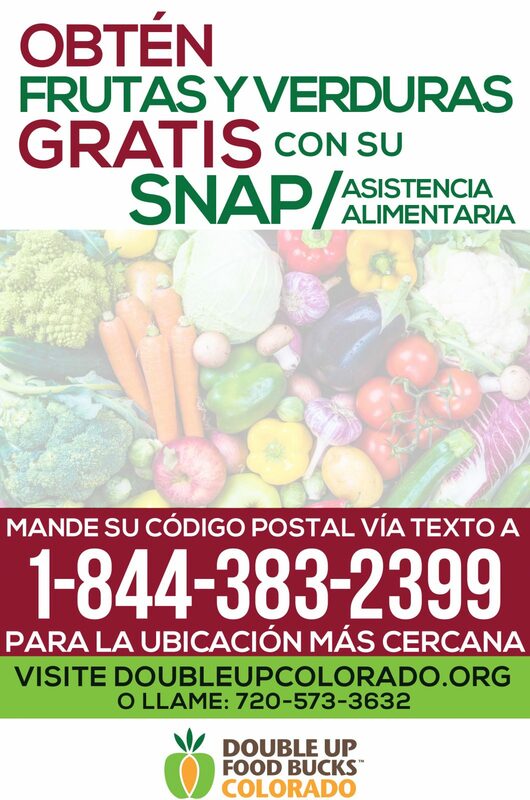 A first step is making sure your market accepts SNAP benefits. Visit the USDA’s SNAP and Farmers Markets website to learn how. You can also email us to learn how to become a Double Up vendor. © 2018 LiveWell Colorado All Rights Reserved. Did someone also tell you about DUFB at this location? Did you also see a flyer/poster about DUFB at this location? Send me info about Double Up! Send me info via text!